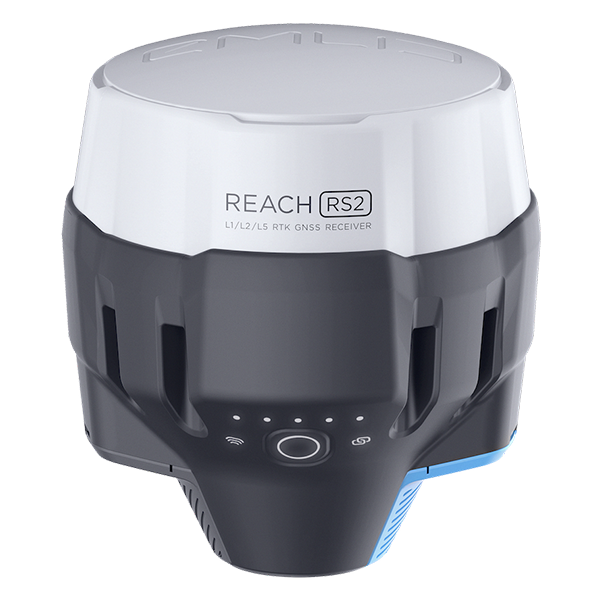 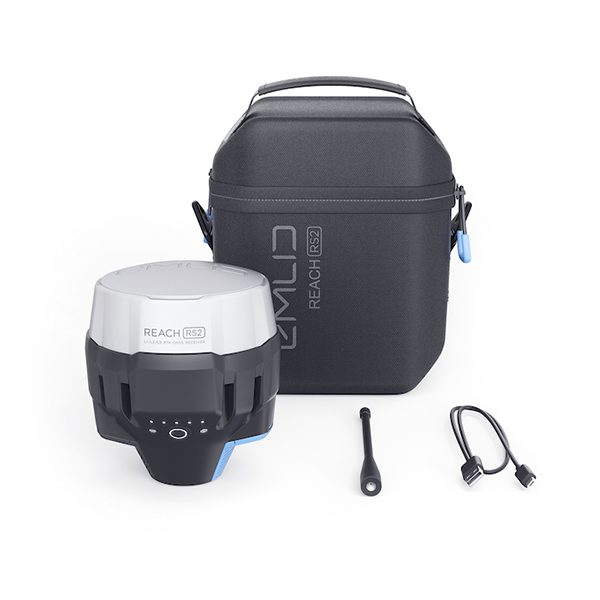 Reach RS2 is a multi-band RTK GNSS receiver with centimeter precision For surveying, mapping and navigation. 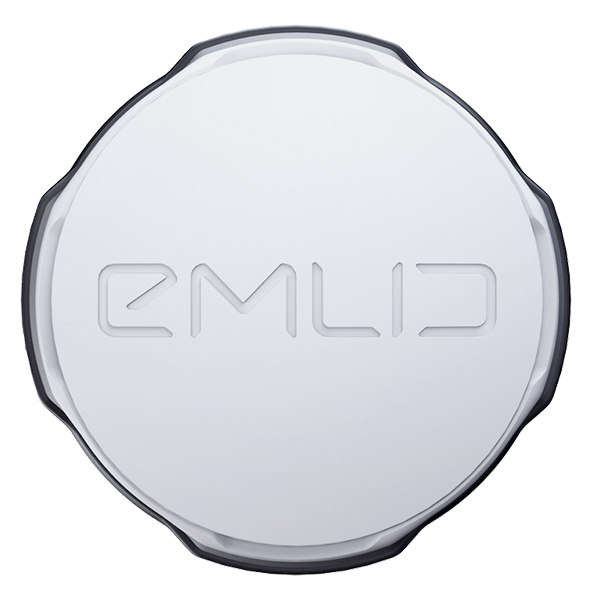 Comes with a mobile app. 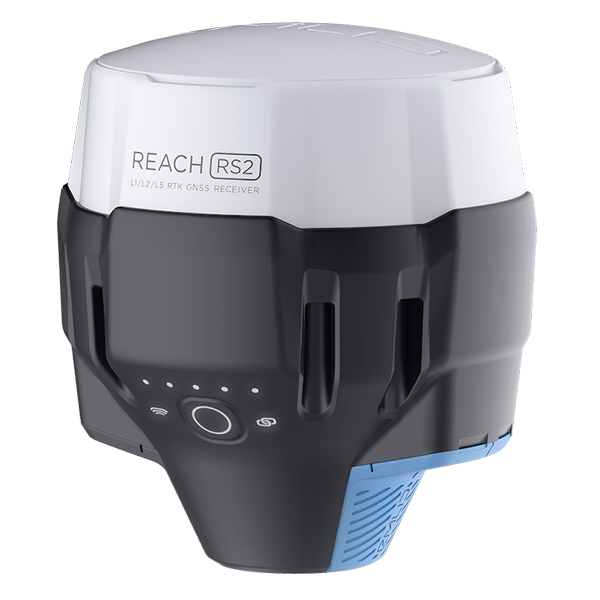 Reach RS2 is engineered to be waterproof and impact-resistant. 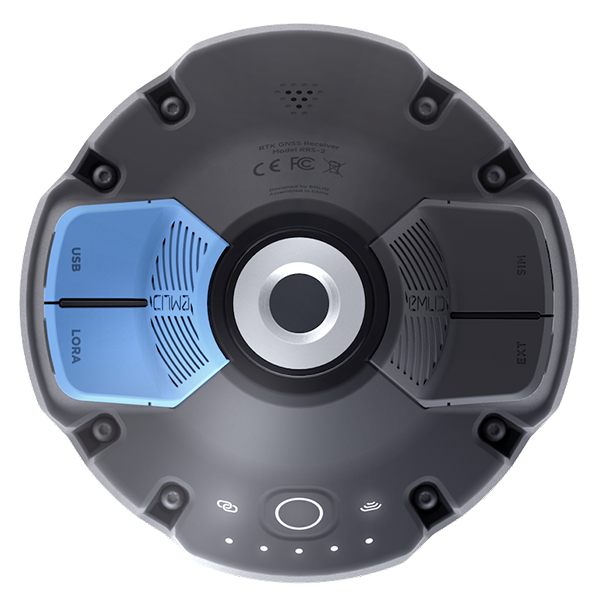 Its body is manufactured in a two-step injection process and is made out of shockproof polycarbonate covered in a special elastomer for extra protection. 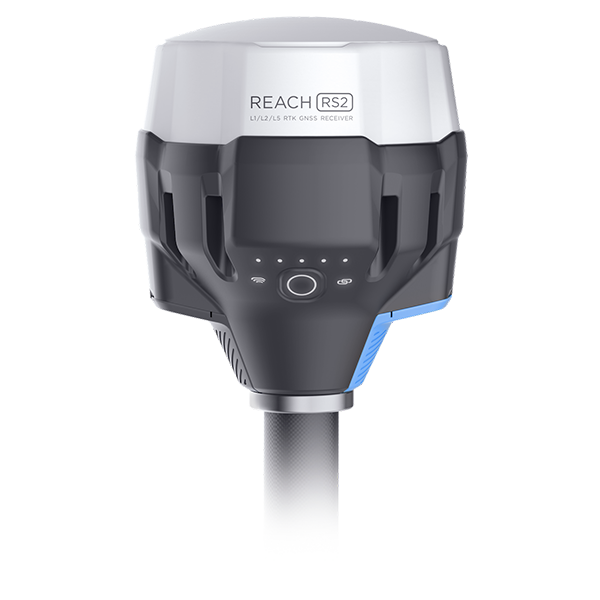 The receiver has an industry-standard 5/8'’ mounting thread.